Why should I have my teeth whitened professionally? Although there are many brands of over-the-counter teeth whitening products available to you, they often do not work very well, and can actually do more harm than good. Their one-size-fits-all approach means the applicators do not come in contact with all your teeth, the bleaching agent may irritate your gums, and they can be very messy. Tooth sensitivity and uneven whitening are usually the end result. Having your teeth whitened at the Firouzian Dentistry means your teeth are whitened using ZOOM!, which can get your teeth several shades whiter with no tooth sensitivity problems in a very short time. Dr. Firouzian also provides take-home whitening kits which are custom fit and work very well. Teeth are porous and can be easily stained. Foods such as berries and some curries, and beverages like coffee and tea will cause staining. Nicotine from smoking or chewing will also cause your teeth to stain. Other factors that may lead to tooth discoloration include an injury to the tooth, natural wear and tear, and the antibiotic tetracycline. Teeth whitening at Firouzian Dentistry will safely remove staining in one session. You may keep your teeth as white as you want with take home whitening kits provided by Dr. Firouzian. How long will my teeth stay white with the teeth whitening procedure? Although we can make your teeth match your aesthetic desires, they will not stay white forever. You still need to eat and drink, and many of the things you ingest will stain your teeth. While you can prolong your teeth whitening by avoiding staining foods and beverages, brushing and flossing daily, and using a professional take-home whitening kit, you may want to revisit Dr. Firouzian for in-office teeth whitening once a year. The teeth whitening procedure, whether performed in-office or with a take-home kit, is very safe and effective. Dr. Firouzian’s number one priority is your safety and comfort, and will discuss the teeth whitening procedure with you prior to undergoing it. ZOOM! Advanced Power In-Office Whitening is painless and effective with no sensitivity issues. Learn how to maintain your teeth whitening results. 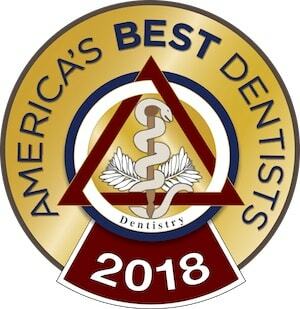 If you are in the Columbus, Ohio area and are interested in finding out if teeth whitening is right for you, please contact Firouzian Dentistry to schedule an appointment with Dr. Firouzian today.